With this stunning debut novel, New York Times bestselling author Lauren Oliver emerged as one of today's foremost authors of young adult fiction. Like Gayle Forman's If I Stay and Nicola Yoon's Everything, Everything, Before I Fall raises thought-provoking questions about love, death, and how one person's life can affect others in unpredictable ways. 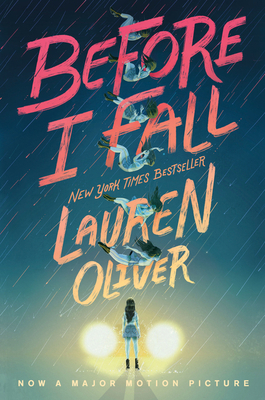 This special enhanced edition of the New York Times bestselling Before I Fall by award-winning author Lauren Oliver includes two brand-new stories set in the world of Before I Fall, an essay by the author about the “greatest hits” of her life, and extra behind-the-scenes content on the making of this bestseller. Before I Fall is now a major motion picture Zoey Deutch, Halston Sage, and Kian Lawley. Named to numerous state reading lists, the novel was also recognized as a Best Book of the Year by Amazon, Barnes & Noble, The Daily Beast, NPR, and Publishers Weekly.